Home » Listings » Golf Views On Three Levels! Golf Views On Three Levels! Breathtaking GOLF VIEWS at Country Club of the North! 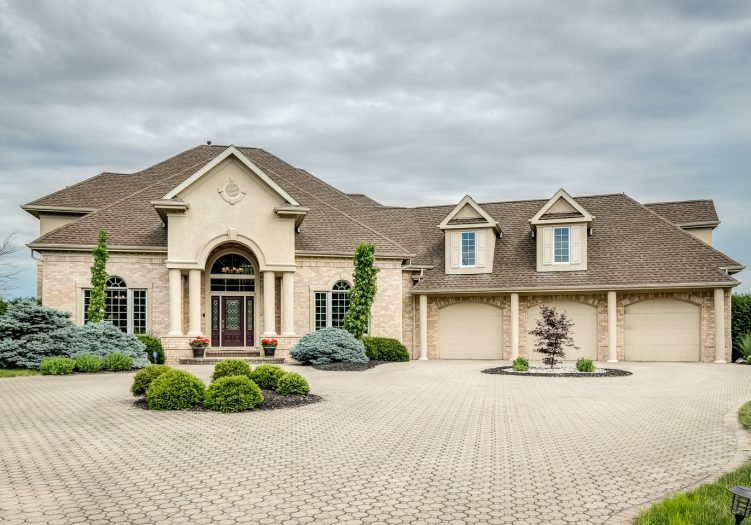 With nearly 5500 sf of living space, this Greg Taylor home is the EPITOME OF LUXURY! A PAVER DRIVEWAY and stairs lead guests to the grand foyer with HARDWOOD floors! A dining room with CROWN molding and a library with BUILT-INS flank the entry. Ideal for unwinding, the two-story great room features a GAS FIREPLACE and stunning windows which frame the golf view! For the chef, the kitchen boasts a GAS COOKTOP, granite, island with seating, and STAINLESS appliances. The first-floor master offers access to the deck and a bath with granite, WALK-IN TILE SHOWER, and jetted tub! Upstairs, you’ll find a BONUS ROOM/bedroom, two other spacious bedrooms (one with a PRIVATE DECK and one with a BALCONY), a full bath, and storage. Head down to the lower level for a REC ROOM with gorgeous trim, a WET BAR, fireplace, 5th bedroom, and bath! Outside, the COVERED PATIO is ideal for cookouts! A 3-car garage, IRRIGATION, and generator seal the deal!